Martin alongside Mayor of Letterkenny Ian McGarvey, Cllr Diane Docherty and Liam Ward, Director of Services with Donegal County Council. Local MP Martin Docherty-Hughes has welcomed the signing of a new Friendship Agreement between West Dunbartonshire and Letterkenny in Donegal, Ireland. The SNP MP for West Dunbartonshire joined Provost Bill Hendrie and local councillors to welcome the Mayor of Letterkenny, Ian McGarvey, to Clydebank on Saturday. Also in attendance was Donegal County Council Director of Services Liam Ward, Consul General of Ireland to Scotland Mark Hanniffy, Gil Paterson MSP, Deputy Lord Lieutenant of Dunbartonshire Mr Owen Sayers, Sister Rita Dawson MBE, Chief Executive of St Margaret of Scotland Hospice and other invited guests. Martin Docherty-Hughes MP, who is vice-chair of the All-Party Parliamentary Group (APPG) on Ireland and the Irish in Britain, said that with Breixt looming he believes strengthening historical ties between Scotland and Ireland is more important than ever. 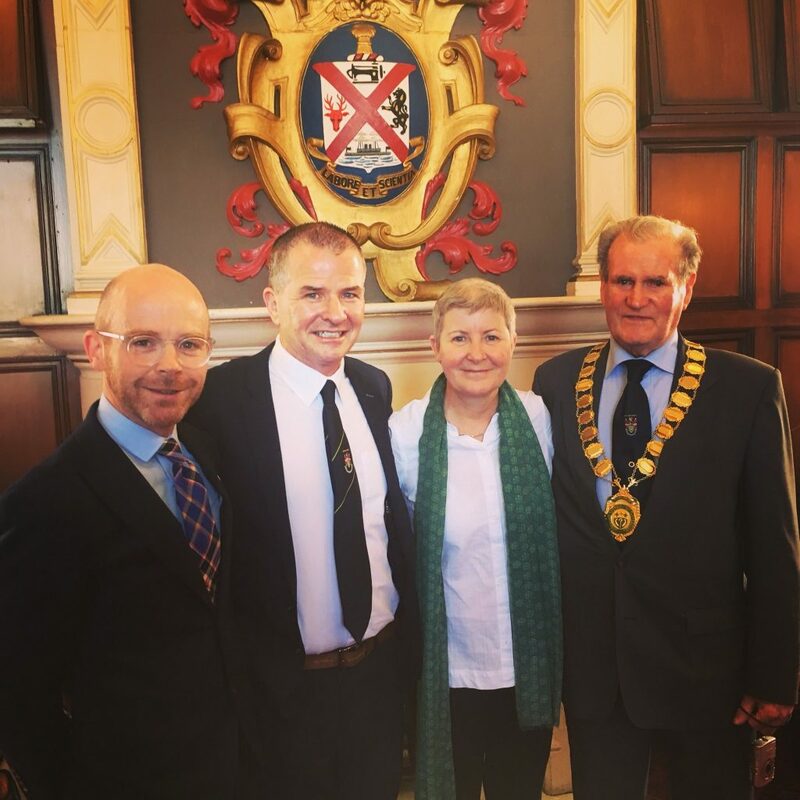 The formal friendship agreement was signed between West Dunbartonshire Council and Letterkenny Municipal District on 30 March 2019 and through this Friendship Charter both Councils undertake to encourage educational, sporting, tourism, economic and individual links between the citizens of the two areas. “We’re proud to be home to a large Irish diaspora here in West Dunbartonshire, with many of my constituents having direct and historical family links to Ireland; including my own coming from Stralongford.